While all eyes might be on Germany’s hottest Christmas markets, it’s the UK’s very own traditional festive wonderlands that are worth making a fuss about. We might not get the white Christmas we’re dreaming of, but visit any market this year and you’ll be filled with all things merry and bright. Layer on, drink up and enjoy the magic. These are the best Christmas markets to visit this year. 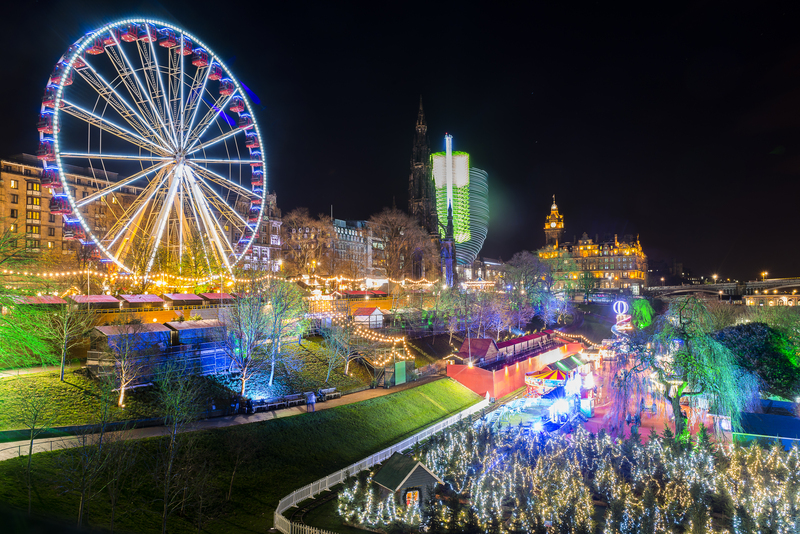 It’s the season to sparkle, so why not plan a family day trip to Scotland and visit Edinburgh’s famous Christmas market for some festive cheer. 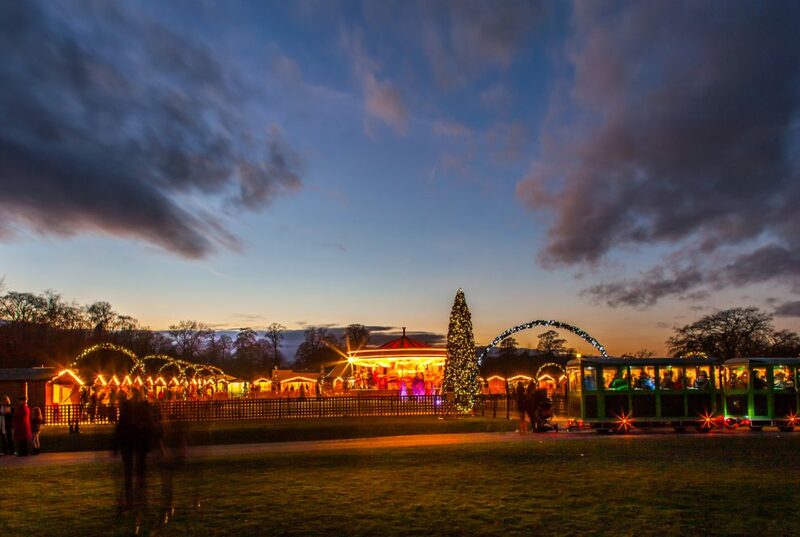 You can expect to feel merry and bright here with an ice skating rink, nativity carol concert, a brilliantly fun silent light disco, Christmas tree maze, bumper cars and a balloon ride that is so good you won’t want it to end. 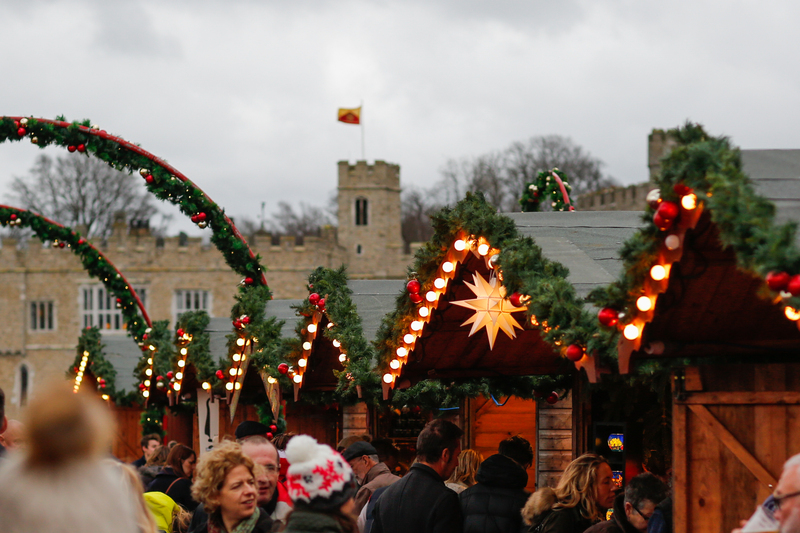 The spectacular six-week festive market will have every visitor feeling the magic of the season. From kids to the grandparents, everyone will love it here. Edinburgh’s Christmas market opens on November 16th. For more information visit their website here. 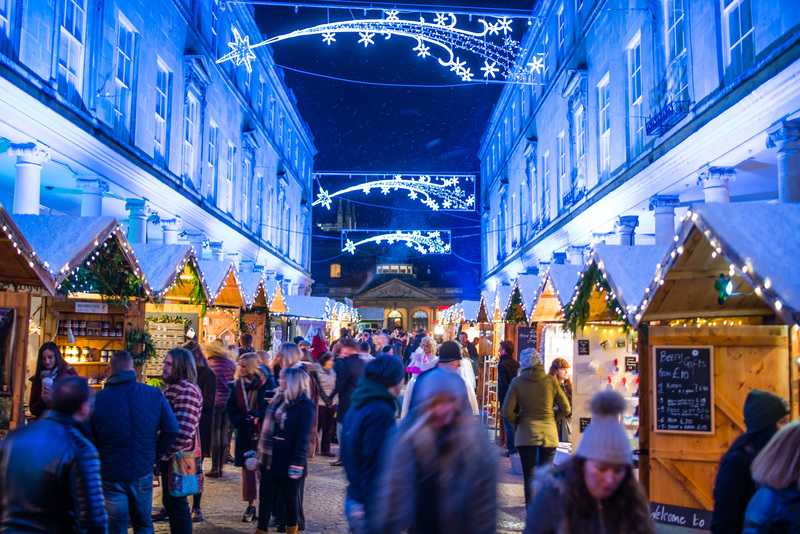 Discover the magic of Bath this season by taking a trip to their award-winning Christmas market. With over 180 twinkling chalets, glistening lights and local craftsmen showcasing gifts, this is one of the best Christmas markets to visit this year. Grab a mouthwateringly good burger on your way round, or refuel with piping hot chocolate. Turn any corner and you will find another food pop-up for you to try (you certainly won’t leave hungry that’s for sure). We’ll be getting our hands on the Churros and Chocolate Company’s delicious chocolate-covered treats, well because, it is Christmas after all. Bath’s Christmas market opens on November 22. For more information visit their website here. Have yourself a merry little Christmas by visiting London’s show-stopper festive extravaganza — the city’s most popular place for guaranteed festive cheer. With the UK’s largest ice rink, The Snowman experience show, ice sculpting workshops, circus shows, an ice bar, and much more added for this year, there really is no reason not to pay a visit. Whether you are in the mood to slip into your skating shoes, or you would prefer to watch the crowds over around a mug of hot spiced cider, every day here truly is merry and bright. Winter Wonderland opens on November 23rd. For more information visit their website here. Bratwurst! Glühwein! Stollen! 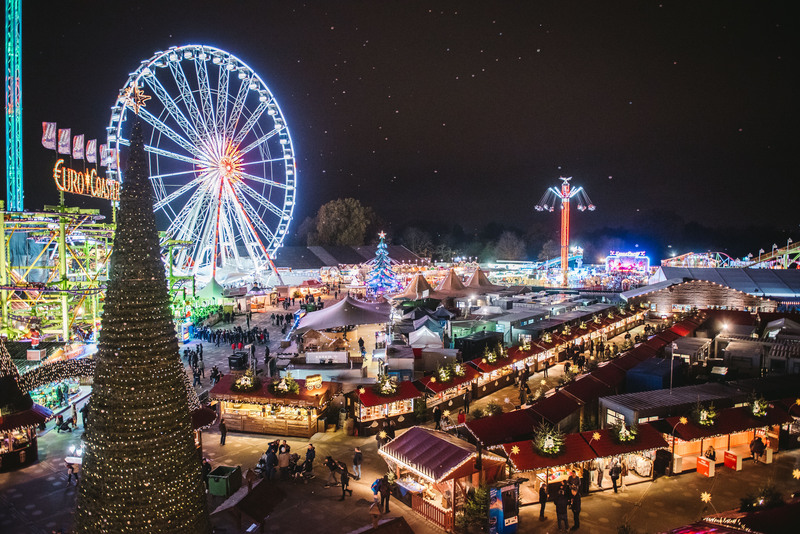 German Christmas markets are by far the best in the world, so it’s no wonder Leeds will open its doors again this year for a traditional festive wonderland. Here, you can expect a Bavarian-style eatery (grilled sausages so good that you have to try them to believe), as well as 40 wooden chalets selling homemade decorations, authentic German delicacies, jewellery and toys. And for kids, book in for breakfast with Santa at the Alp Chalet, running every Saturday and Sunday morning up until Christmas. Leeds Christmas market opens on November 9. For more information visit their website here. Idyllic meadows, castles and ridiculously beautiful rolling hills make the Oxfordshire countryside one of the best hideaways for city-dwellers to escape to. 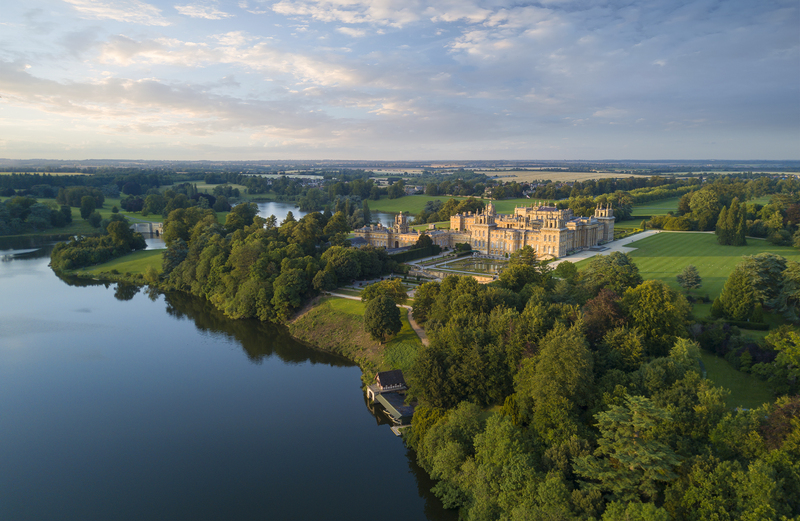 This Christmas, head to Blenheim Palace for a festive treat, holiday cheer and otherworldly views you won’t get at any other market. Just an hour and a half from London, it’s the perfect not-too-far-away daytime trip for the whole family. Wooden chalets offer delightful little Christmas goodies for visitors to get their hands on: jewellery stands, ceramics, homeware items, toys, stationery and woollen hats are among the beautiful array of treats. Whether you’re planning to visit early to get ahead of the shopping crowds, or leave it until last minute, there will always be something at the market for everyone. We promise you won’t be disappointed. Blenheim Palace market opens on November 23. For more information on tickets, visit their website here. What market are you heading to this Christmas? Tweet us or tag us in your Instagram pictures @LauraAshleyUK to let us know.